There are various options for administering your SMSF, but one thing remains the same: the responsibility to get it done properly lies 100 per cent with you. As an SMSF trustee you are ultimately responsible for managing all the administration for your SMSF. There will be certain duties you need to complete yourself and others you’ll need to outsource. Ensuring all the administrative tasks are completed lies solely on the trustee. Maintaining the records of the SMSF and ensuring they are up to date is a key component of SMSF administration says Kris Kitto, director of Superfund Partners, an SMSF administration business. “Trustees need to ensure they hold all the minutes, not just the accounts,” says Mr Kitto. Adrian Hill, a partner at accounting firm Super Accounting Solutions, says every transaction of the SMSF must be substantiated through bank statements, invoices and any other relevant paperwork. “It’s basically a matter of keeping all the relevant documents that need to go to the accountant and auditor at the end of the year,” he says. Mr Hill says SMSF trustees should also be aware they are required to keep certain types of documentation for particular time periods set out by the ATO. - Annual operating statement and annual statement of the SMSF’s financial position. - Minutes of trustee meetings and decisions. Mr Hill says this comprises minutes done every year as part of the annual work and other decisions made in between. - Documented decisions about storage of collectables and personal use assets. The other administration area that trustees need to understand is the responsibility they have to annually review their investment strategy. “SMSF trustees need to ensure that what they’re doing marries up with what their investment strategy is and make adjustments if required,” says Mr Hill. Whether you choose to outsource most of the administration or choose to undertake the bulk of administration for your fund yourself, you’ll need to appoint an auditor to audit your fund on an annual basis. Kris Kitto, director of Superfund Partner, an SMSF administration business, says obtaining an independent auditor is one of the basic compliance tasks that must be done each year by trustees. The ATO notes on its website that trustees must appoint an approved SMSF auditor to audit the fund at least 45 days before they lodge their SMSF annual return. The trustee must also ensure the auditor is registered with ASIC and that they are independent meaning an auditor cannot audit a fund in which they hold any financial interest, or where they have a close personal or business relationship with members or trustees. Once the audit of the SMSF is complete, the SMSF annual return must be lodged. Mr Hill says the SMSF annual return is not just an income tax return but is also used to report super regulatory information and contributions and pay the SMSF supervisory levy. In order to prepare the SMSF annual return, the trustee will need to know the value of the assets in the fund at their market value. While lodging a return may seem like a simple task, Mr Kitto says this is a constant problem flagged by the ATO. “One area where trustees can get into trouble is late lodgement of the SMSF return,” says Mr Kitto. There are three main options for a SMSF in terms of meeting their administrative duties. The method a trustee chooses to take will largely depend on how much time they have, their skills and knowledge and whether they enjoy tasks such as bookkeeping. Mr Kitto says regardless of what kind of company an SMSF decides to outsource to, or how much of the administration they choose to outsource, they should ensure they undertake appropriate due diligence on any potential service providers and get to know the people behind the business. “As a minimum they should look for a business that has at least one – but preferably more – staff who are recognised SMSF Specialist Advisors accredited by the SMSF Association,” says Mr Kitto. There are some aspects of administration which are mandatory to outsource such as the audit, but Kris Kitto says the vast majority of SMSF trustees also choose to outsource at least some of their other administrative obligations. SMSF trustees he says have traditionally gone to an accounting fund that deals with them about once a year around the time they need to lodge their annual return. Mr Kitto says the practitioners in these firms are generally competent but these firms may not have the systems or resources to provide periodic administration throughout the year. These types of firms he says still make up a larger bulk of the industry, according to Mr Kitto, even though they tend to lodge a smaller number of funds. “ATO statistics show that 94 per cent of tax agents lodge 100 or less SMSFs each year,” he says. 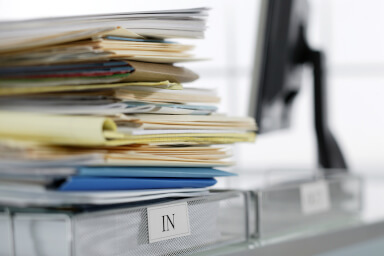 Smaller accounting firms normally manage the administration themselves for a client by getting the client to give authorisation to their bank, insurance company and real estate agent to send bank statements to the accountant including loan statements, renewals for life insurance, monthly and yearly rental statements, says Mr Hill. It also involves setting up data feeds with the bank. “The idea is that between the data feeds and the authorisations though which everything is provided; the actual trustees do next to nothing,” he says. One of the advantages of obtaining administration services this way Mr Hill says is clients tend to get more specialised service. “You get far more service offerings attached to smaller practices who know what they’re doing and do it every day whereas the bigger [administration] outsourcing companies are far more streamlined,” says Mr Hill. While this may not be a problem for SMSFs with fairly simple assets and needs, an SMSF comprising more complex strategies such as bare trusts and instalment warrants, he says may get a more specialised service through a smaller, specialised firm. “If you just have a handful of shares, some life insurance and that sort of thing, then that can be comfortably handled by an ‘outsourcing sausage machine’,” he says. There are a variety of different business models relating to the larger SMSF administration providers. “Many businesses in this space offshore a lot of work to place like India, Vietnam, and the Philippines,” says Mr Kitto. Other large administration providers leverage off technology and scale rather than cheap overseas labour to provide a reasonable price point and service for clients, however. One of the main advantages of choosing a larger outsourcer, Mr Kitto says is that “average fees charged by a specialist business are typically lower by6 10 to 20 per cent and they are more likely to provide more frequent administration services – either daily or monthly. Mr Kloeckner says the administration provided by ‘newer age services’ or larger administration providers could cost 50 per cent less than the smaller accounting services as a lot of the smaller accounting firms do not have “sophisticated back office systems such as BGL or something similar”. There are also a handful of trustees that complete the administration for the SMSF on their own, other than aspects such as the audit which must be outsourced under law. Mr Kitto says while completing the administration manually at home, which involves poring over spreadsheets, financial reports and investment research, may have been one of the main methods of completing administration for a SMSF 10 to 15 years ago, it is fairly uncommon now. “I refer to these trustees as spread sheet warriors; they’re typically the type of people that like doing that dreary administration work,” says Kris Kitto. The time required for a trustee to undertake their own administration Mr Kitto says depends on the complexity and size of the fund. “A trustee who has a $3 million fund who’s doing a lot more share trading would probably spend a lot more time if they wanted to do it themselves compared to someone who was a more conservative, stable investor undertaking a limited number of trades,” he says. Mr Kloeckner says there is a lack of sustainability in doing the administration for the SMSF in this way. “If you’re an ageing SMSF trustee and are doing the administration at age 70, then please explain how you can do that at the age of 80 or 85- what happens [if] you get Alzheimer’s [disease],” he says. In many cases, he says, there is often a more active member in the SMSF and that if this member becomes incapacitated, it can be extremely difficult for the remaining members to take control. Having the administration outsourced he argues is a better long term solution. There are many traps that tend to catch out SMSF trustees in meeting their administration requirements. While some will only have minor implications, other mistakes can result in very serious consequences. One of the common administration issues flagged by the ATO is SMSF trustees registering investments in the super fund under the wrong name, according to Mr Kitto. “Another area where trustees get into trouble is the late lodgement of SMSF returns,” he says. On time lodgement he says is still relatively low at around 80 to 90 per cent among SMSF trustees. Mr Kitto says there was one incident where a SMSF trustee consistently failed to lodge returns which eventually resulted in community service. Another administration area where there continues to be issues is with pensions. “The ATO is still correcting a lot of errors with super funds claiming the exempt pension income amount incorrectly,” he explained. Calculating pension payments can also be something trustees tend to get wrong, says Mr Kloeckner, because the pension rate can change from year to year depending on their age and whether they continue to work. Broadly he says trustees need to make sure they don’t overpay or underpay on their pension. “If you are receiving a transition to retirement income stream, and you’ve still got contributions coming into the fund, you also need to ensure you don’t over contribute,” he noted. The penalties for getting some of the basics right Mr Kitto says can be severe. Breaches per trustee can be as high as $10,800– which the trustees each have to pay personally – the SMSF cannot pay those fines, he warns. “In addition in severe cases trustees can be banned from running an SMSF and the fund can be made non-compliant,” says.